This is a detail of Banco Vitalicio at Passeig de Gracia 11 and built from 1941 to January 1950 by Lluís Bonet i Garí. See more details about this bank and insurance company in my previous post: Banco Vitalicio: First High Rise Building in Barcelona. 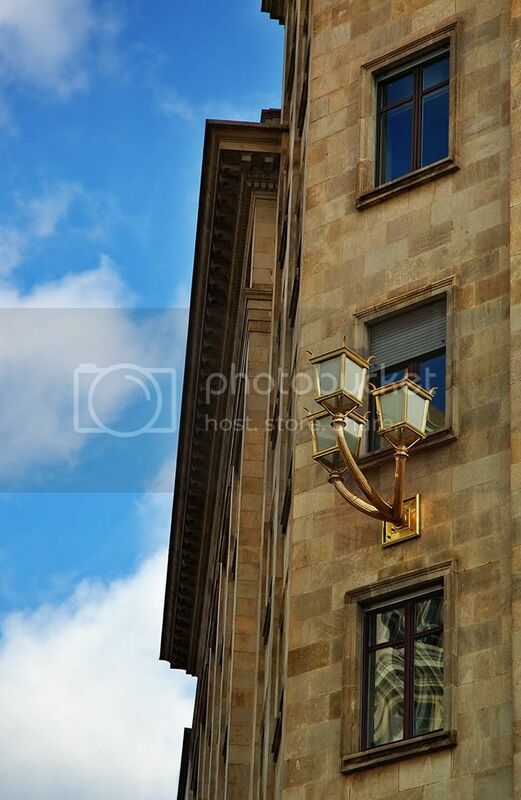 I am always attracted by the beautiful lamps on the façade. I don't know who's in charge of polishing them but they keep them like brand new. Me gusta el embrollo de lineas que se dibujan en la ventana. Congratulations on Sastre's win in the Tour de France!